The 871 Series Laser Wavelength Meter from Bristol Instruments is designed to measure the absolute wavelength of pulsed and CW lasers. 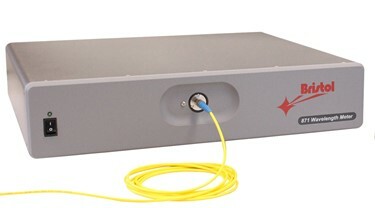 The wavelength meter provides the fastest measurement rates up to 1 kHz, which enables the wavelength characterization of individual laser pulses. Fastest, most reliable method to accurately measure the wavelength of pulsed and CW lasers. For pulsed and CW lasers. Wavelength accuracy as high as ± 0.00075 nm. Automatic calibration with a built-in wavelength standard. For more information on the 871 Series Laser Wavelength Meter, download the datasheets or visit the webpage.